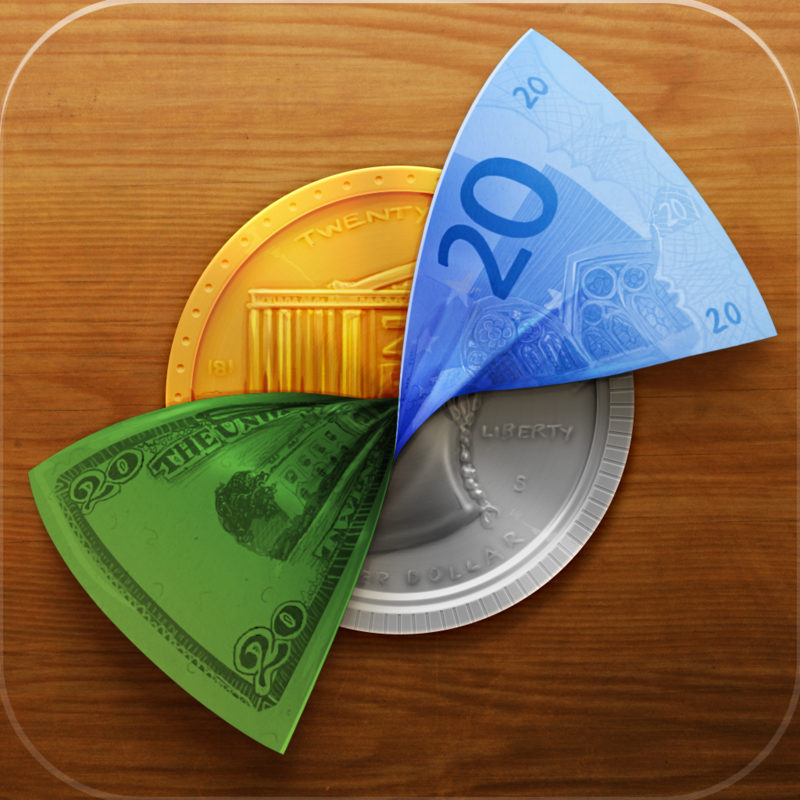 Denominations ($1.99) by Abraham Vegh is a useful currency converter for your iPhone. Wouldn’t life be easier if there was only one form of currency? Of course it would be! Too bad that things don’t work that way. We have different currencies for each country, and the value of the money differs everywhere — higher in some places, and lower in others. But how do you keep track of how much your dollar is worth without being too complicated? That’s where Denominations comes in. 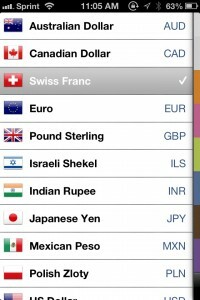 Denominations is one of the simplest apps that I’ve come across, but for good reason — it’s just an app that allows users to see what the value for a certain currency is in another country. The main screen (and only view, for that matter) is a cell layout that presents one form of legal tender on the left, and what it translates to on the right. Some examples include: $1 is equal to €0.81, and €500 equals ¥48993.35. 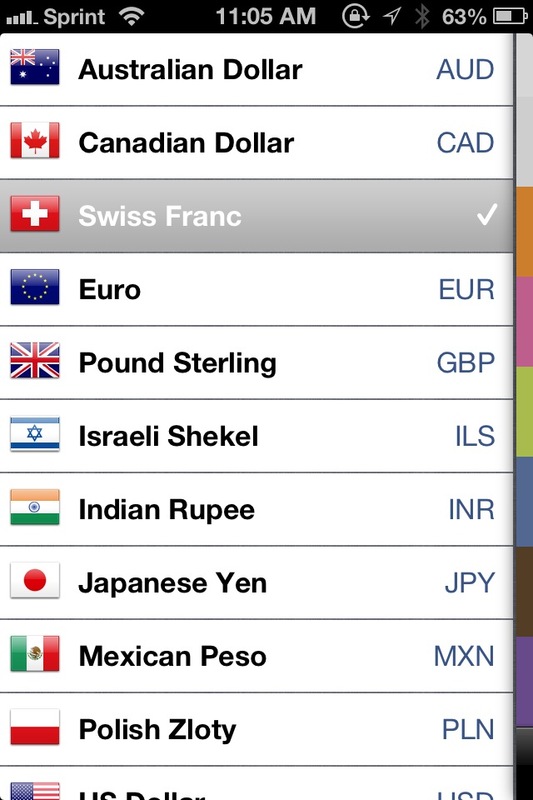 To pick what currency you want to use, just tap on the abbreviation in the bottom toolbar. A side panel will come in to view, with 12 different ones to choose from, each represented with a flag of the country. If you need to switch the values around, just tap on the twisted bill icon at the bottom — the currency on the left will show up on the right, and vice versa. 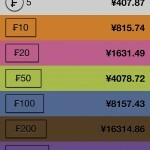 To add some color to the app, Denominations will color code each cell so that you can tell them apart easily. 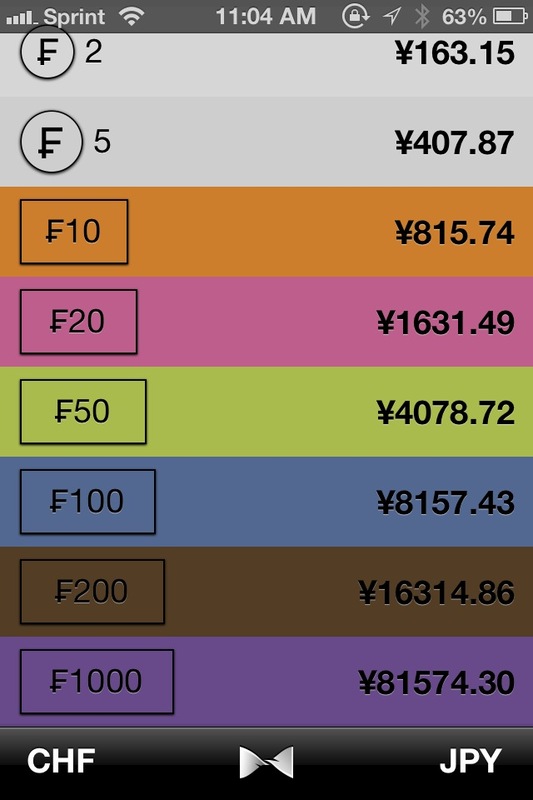 The colors will vary depending on what currencies are used and what order you have them in. 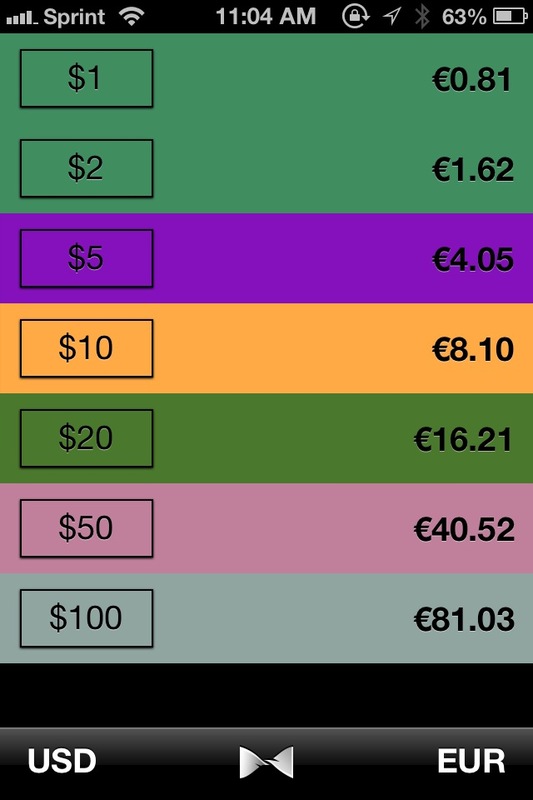 I’ve been testing the app out for a little over a week, and I am finding Denominations to be very useful. The only thing I wish it did was allow users to input a custom value and see what it translates into. But if you just need to quickly see at-a-glance how much one tender is worth in another, then this app will work just fine. Please keep in mind that Denominations only supports 12 currencies at the moment, but support for all worldwide tenders is coming soon. If you would rather see a certain currency be added sooner than later, Vegh is taking suggestions by email. This should be a traveller's best friend, so make sure to check it out in the App Store. 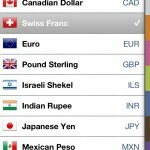 For more finance apps, make sure to check out this AppList.